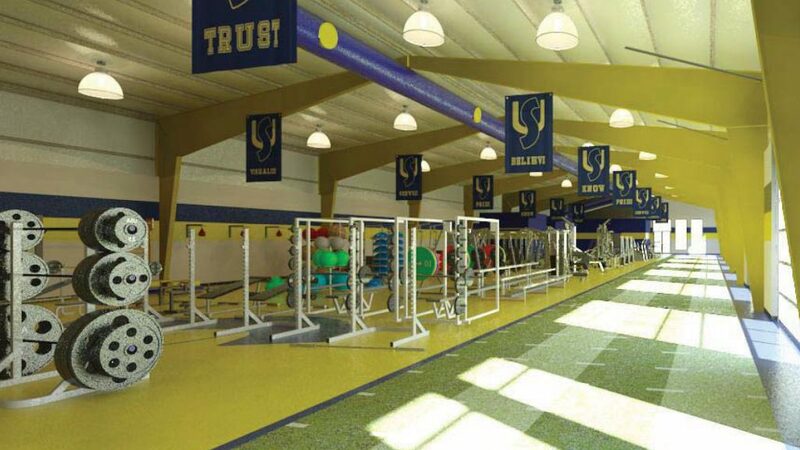 The Student-Athlete Performance Center will be a signature facility that demonstrates Shepherd University’s commitment to health and wellness of our student athletes. With this new building, Shepherd University is committed to transforming the overall student-athlete experience to one of a first rate program. In order to remain the elite program among the Mountain East Conference and nationally, this transformational investment is required from our alumni and friends who believe in Shepherd athletics. With more than 11,000 square feet, Shepherd will have a facility equal to the talents, dedication, and success of all athletic programs. The facility will include an indoor track for speed conditioning, three designated areas for plyometric work, and machine and free weights. The new space will double the number of racks to 12, while only consuming 1/3 of the area. Total estimated cost for the project is $1.75 million.